In what might look like a backward step, Uber has announced that it’s trialling cash payments in its first developed market. A large portion of new and existing users in Singapore will now have the option to pay using cash, according to an interview with the country’s Straits Times. For seasoned Uber riders around the world, this probably makes no sense whatsoever. For the company too, it sounds like it could create more challenges than opportunities. But, as a business decision, this is a perfect move. To date, cash payments have only been available in 40 of Uber’s 400 cities, focused on less-developed nations where cash is still king. Even in the UK and US, cash still accounts for almost half of all transactions, so if Uber wants to be truly mass-market in any country in the world, it has to accept that the cashless society doesn’t mean a thing to a lot of folks. Some people, rightly so, may be increasingly concerned about sharing their credit card details with every company under the sun. They could soon have an option if they’re considering Uber. Cash can also be way more convenient for travellers who might struggle to use the card associated with their account if they’re in a different country, as well as helping them avoid any foreign exchange fees. According to the Straits Times interview, people who pay with cash take longer trips. It’s not clear why, but it’s more money for Uber either way. Deciding to offer this new (old) payment method could come into conflict with the security of drivers who will potentially be carrying large amounts of cash. Uber’s clearly made its choice, though, and no doubt sees its online account system as means enough to track down anyone who makes a grab for the money. Of course, the company’s biggest rival in Singapore, Grab, already offers cash payments and says that people actually prefer it to card, so this looks like a simple grab for the rest of the market. 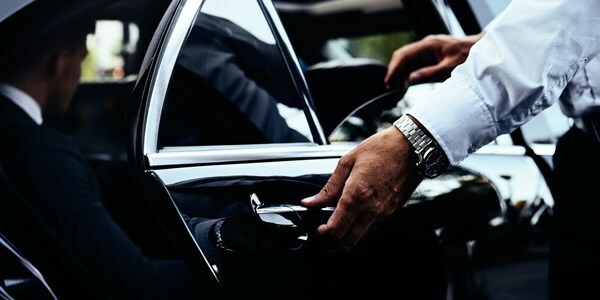 In anticipation of Uber’s rapid expansion, ride-sharing companies across the region, including Grab, India’s Ola and China’s Didi Kuaidi have already formed a partnership to help the fend off its efforts. This trial sounds like it’ll be a great success, particularly for Uber as it looks to expand its user base. Expect this to become an option in your country, with grannies worldwide grabbing an Uber soon too.